The very large glass making factory owned by St Gobain and located at Ferrybridge in West Yorkshire has been in continuous use since the furnace was lit in 1999. Such is the critical nature of the ½ kilometre production line that neither the continuous flow of glass inside nor the furnace itself must never be allowed to cool and hence a reliable electricity supply is essential. 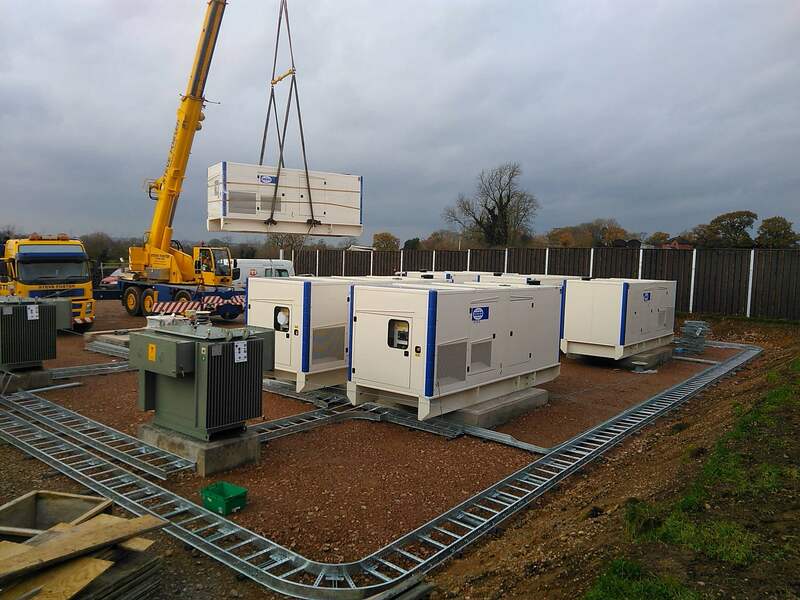 To that end we were recently asked to augment the original HV standby diesel generators with an additional 2.5MVA, 11kV synchronised generator as well the associated civils works to support it. 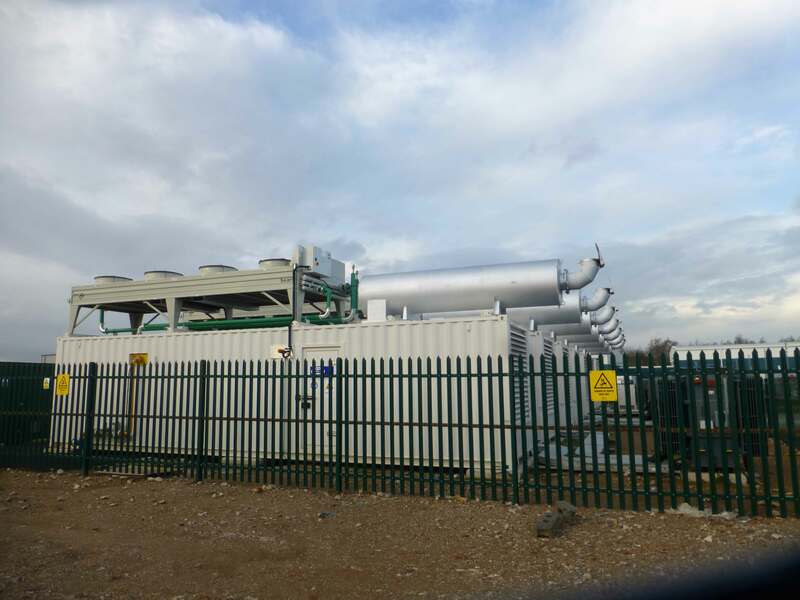 We also provided bulk fuel storage and completely renewed the ageing existing automatic control system and provide compatibility with the new generator set for both standby and grid connected triad avoidance purposes and integration with the site wide PLC controls. The work was split into two distinct phases being the upgrade of the old generator control system whereby one generator at a time was taken offline, all the old controls were carefully removed with particular attention being paid to the interface with the site PLC as the site was of course continuing to manufacture during the whole period of the works. A temporary HV standby generator was supplied and installed for those periods when either of the original generators were not available for duty. 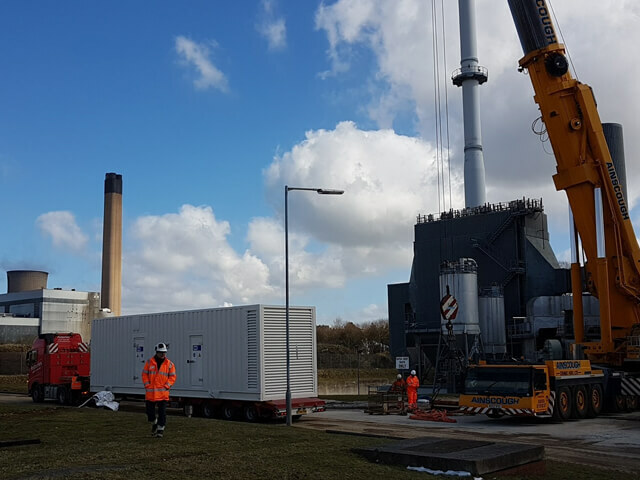 As anticipated the nearby site switchroom prevented the crane from positioning very near to the generator final position and a large 500T capacity crane was brought in to undertake the contract lift from the delivery vehicle and onto its purpose built plinth. Once the generator was safely in place we then brought in the fuel tank and roof mounted exhaust silencer to complete the works for the day. 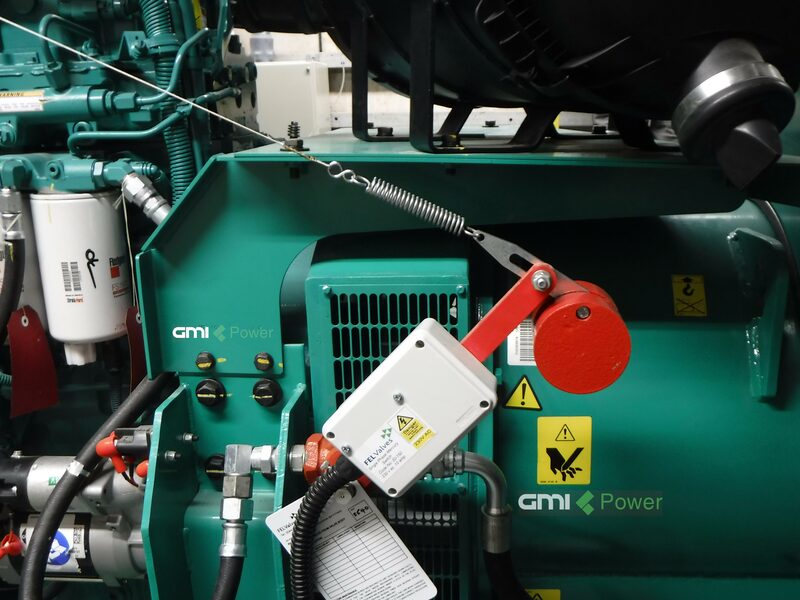 For the remainder of the week the new generator was connected to its new control panel which was already installed in the suite of three new panels that had been made ready and the new and the old generators were paralleled together to provide over 5MVA of standby power which was also able to soft return to mains after an outage as well as peak shave to reduce costs during Triad periods.